14 Cookies- A dozen of a classic combination! Both dark semi sweet chocolate chips and white chocolate chips. 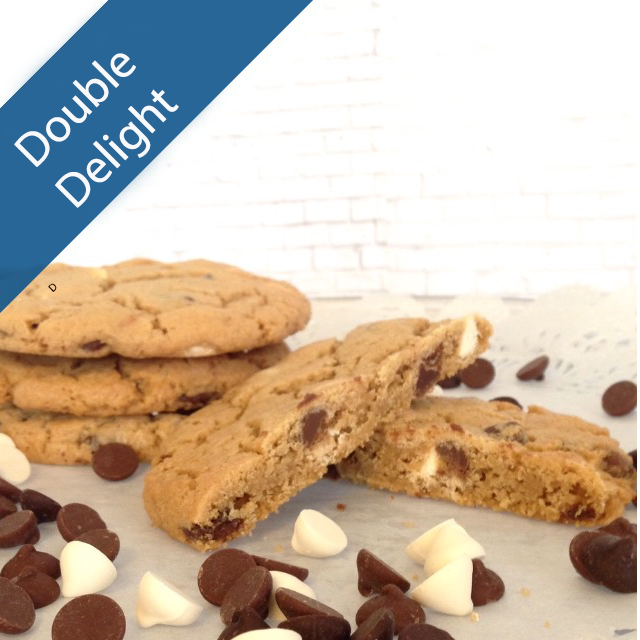 A tasty double delight! Ingredients: Sugar, Flour, Eggs, Sweet Butter, Real Vanilla. Freeze for the Future: We make it easy to store safely and maintain freshness for up to 6 months when stored in the freezer right in their cookie bag. We recommend you leave them in the bag and freeze, to maximize freshness. Do not refrigerate. Take your cookies out of the freezer 15-20 minutes prior to serving to defrost. You take them from freezer to microwave and heat for about 12-15 seconds to serve them "fresh out of the oven."